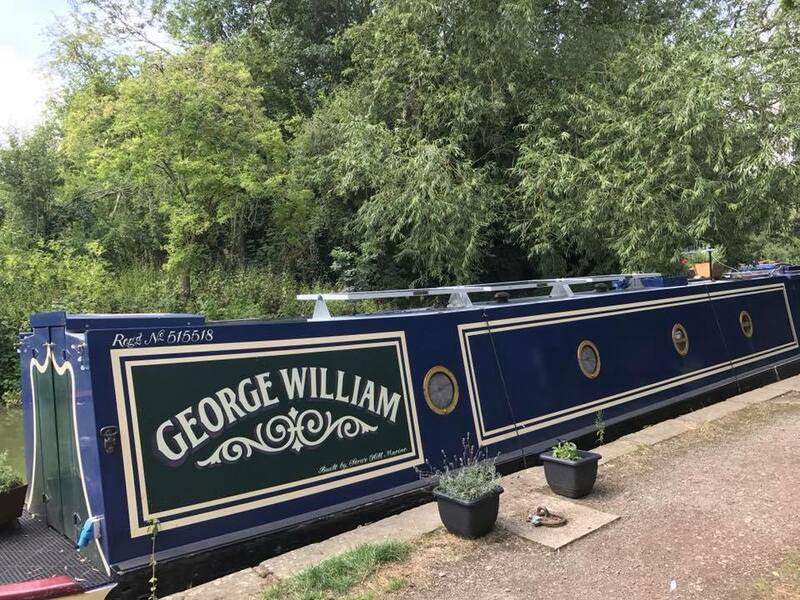 We have recently received some photos from a happy customer that used Marine Polytrol to revive their narrowboat – did you know that Marine Polytrol can be used on boats too? Marine Polytrol is a deep penetrating oil which restores the original color and appearance of dull or tarnished plastics, metals, tiles, painted surfaces and more! It penetrates the surface, re-wetting the pigments to restore their luster and color which has been lost through exposure to sunlight, rain and pollution. Marine Polytrol is perfect for use on fiberglass and gelcoats, so is perfect for use on boats. 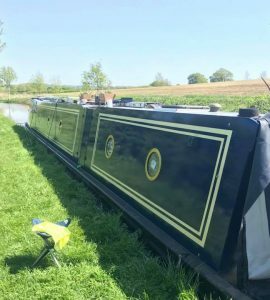 This customer used Marine Polytrol to revive her narrowboat and the results are amazing! Polytrol was recommended to me by many other boaters. 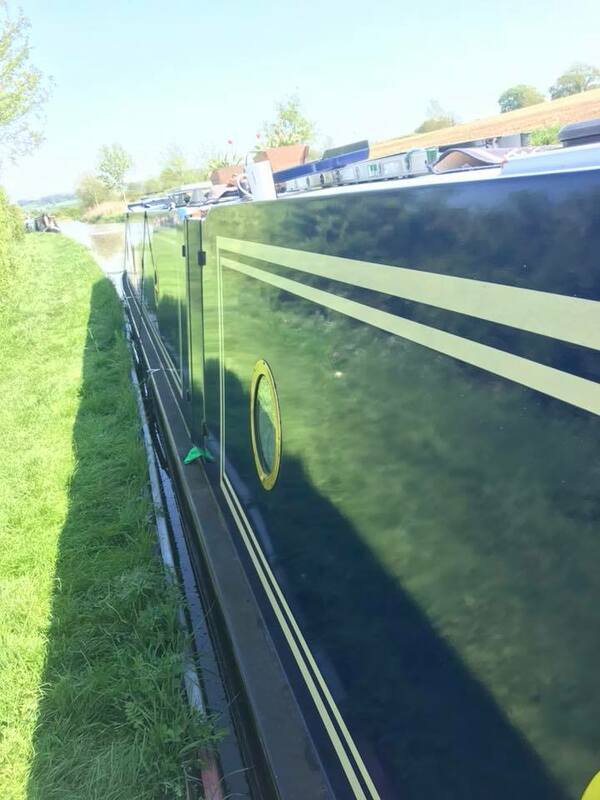 The paintwork on my 58’ narrowboat was sound but dull and lifeless. Polytrol is easy to apply with a brush or soft cloth. After about ten minutes, I just buffed it with a clean cloth. Amazed at the results and I’ve had lots of positive comments. 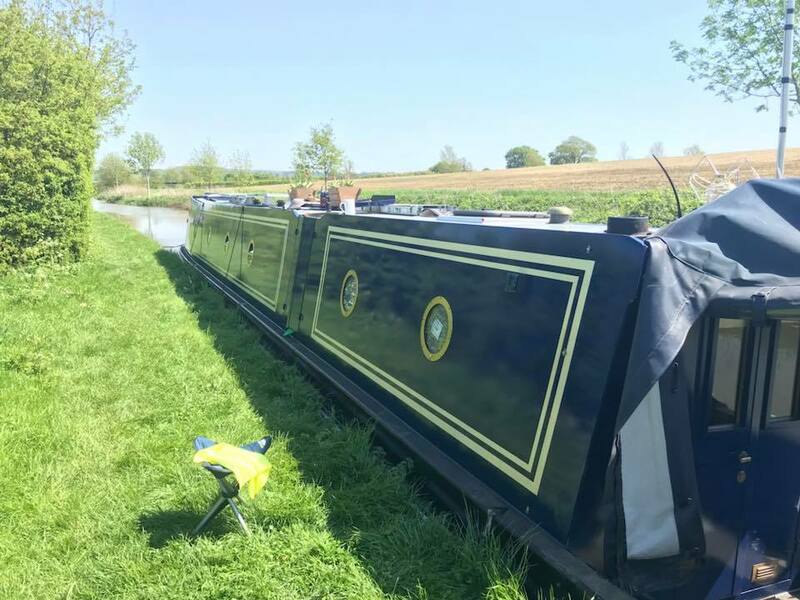 We think you’ll agree her boat looks fantastic! 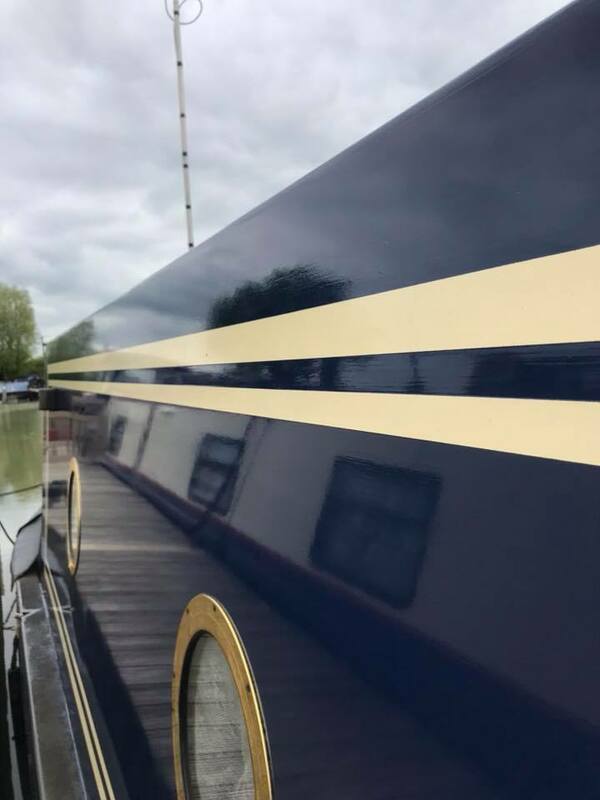 Marine Polytrol is very simple to apply and can be used on both horizontal and vertical surfaces. All you need is a cloth or soft brush and you will have beautiful results in just 10 minutes! It dries to a tough and long-lasting flexible finish which does not leave a film – this means it won’t peel or flake. Marine Polytrol is available in 0.5 liters and 1 liter tins. Have you used Marine Polytrol before? We would love to hear from you! Feel free to contact us and send over some pictures and we will feature you on our website and social media pages!